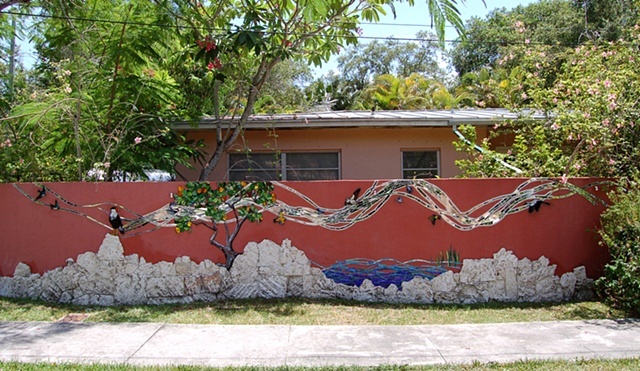 This work depicts birds that migrate through South Florida on their paths throughout the Americas. The birds fly over a landscape of native plants and limestone from a local quarry. The use of limestone for the facing of walls is a vernacular development in local architecture; limestone forms the substrate beneath South Florida.